Our 16th Century Geneva Style binding is only Bible design in our series to not be named after a particular type of minister. The Geneva Bible, printed in the middle to late 16th Century was ripe with controversy in its day. For this reason, the very first easily obtainable Bible printed in the English language was actually printed in Geneva (Switzerland) which was at that time under the spiritual leadership of John Calvin. However you view the accuracy and incisive side notes of the Geneva Bible, this translation had far reaching influence in the printing of other translations during a time when Bible distribution was about to explode. It is very likely that if the Geneva Bible had not been printed when it was, we would not have the Douay – Rheims or the King James (Authorized Version) Bible. Those controversial notes in the Geneva Bible provided the catalyst needed to supply low-cost English Bibles for Catholics and Anglicans, as well as the Protestant Reformers. In a way, the Geneva Bible created a Bible printing mania right at the time of the colonization of the American continents and increasing missionary endeavors throughout the world. The Geneva Style binding is designed with the heavy raised bands that wrap around to the boards, simulating the Old World binding methods. 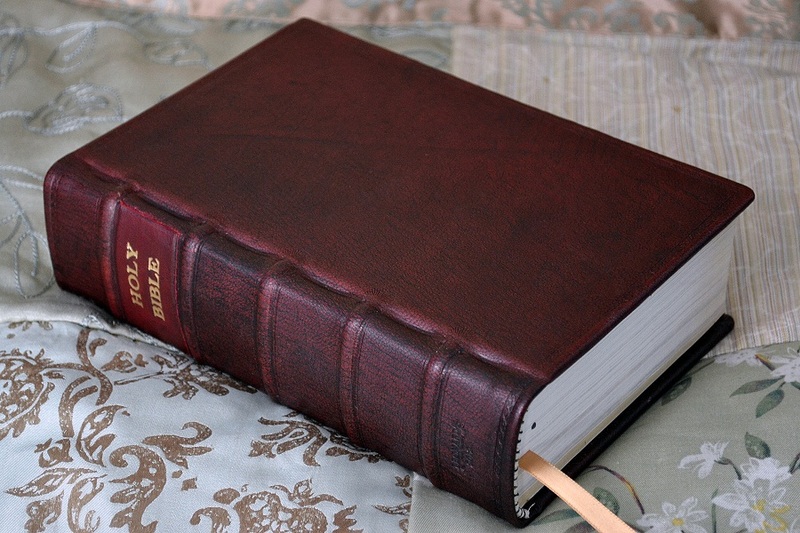 Using hand-dyed and antiqued goatskin, silk headbands, and simple border tooling, we have created a look that truly represents any Bible translation of the 16th Century. Our Geneva Style Binding is a tribute to all those determined for one reason or another to see the Bible printed in the English language. God bless them every one.